Ridgefield High School STEM students in Katy Sheley’s Principles of Biomedical Science class got a first-hand look into some of the job skills required in the medical field. Visits this week to PeaceHealth Southwest Medical Center and Washington State University at Vancouver (WSUV) provided information about medical careers and ways to engage in a medical career pathway. At PeaceHealth, they learned and observed the skills required of ultrasound technicians, who operate specialized scanning equipment to obtain detailed images of internal organs. The students even got hands-on experience using the scanning equipment by trying it out on their fellow classmates. 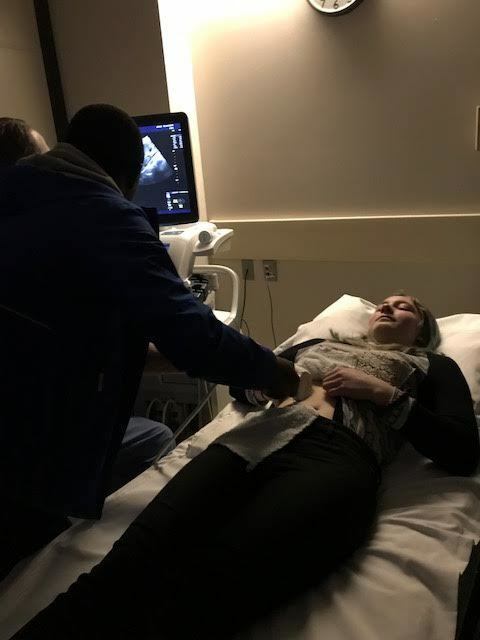 Sophomore Baraka Dhezonga tries out an ultrasound scanner on freshman Natalya Wilson during a visit to PeaceHealth Southwest Medical Center. 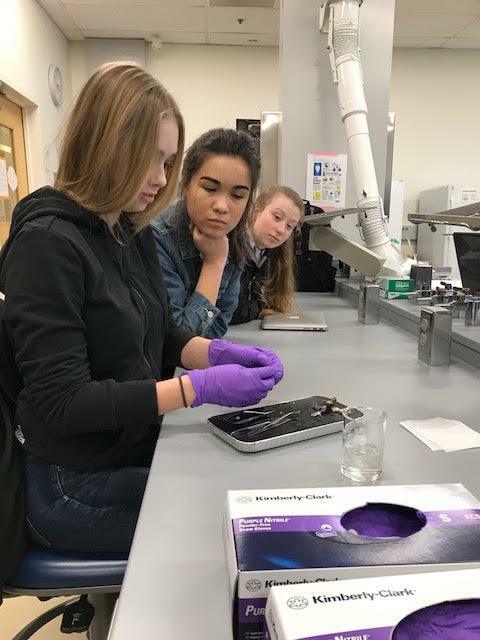 At WSUV, students were given a tour of the research projects being conducted in the Neuroscience Department and were invited to a neuroscience class where they participated in a mouse brain dissection. Left to right: Freshman Madison Lee, sophomore Bella Brown and freshman Elsie Anderson participate in a mouse brain dissection at WSUV.